Sub-Saharan Africa may have the second-highest population of unbanked adults in the world, at about 350 million people, or 17% of the global total. It is estimated that two-thirds of sub-Saharan Africans do not have a bank account. Blockchain technology can help fix that, but only if African regulators act fast. African countries are no strangers to the use of digital solutions for money transfers, nor to the rapid implementation of such technologies. The pervasiveness of mobile telecommunication usage in Africa is said to have enabled the continent to leapfrog many first-world countries. Mobile phone usage grew from less than 3% to 80% in under a decade and there is already an abundance of local mobile and e-payment platforms that have seized this as an opportunity to develop innovative ways to ease the transfer of money across the continent. Further, sub-Saharan Africa is reported to have the second-highest population of unbanked adults in the world, at about 350 million people, or 17% of the global total. Reportedly, two-thirds of sub-Saharan Africans do not have a bank account. Despite this, a high percentage of migrant work, both within and between African countries results in a disproportionate need for remittance mechanisms outside traditional banks. And foreign remittance remains a primary source of income for many African communities and households, with countries such as Lesotho purportedly attributing almost a third of their GDP to remittances from abroad. These, among many other factors, have created the ideal environment for new ways of moving value and present many of the challenges that distributed ledger solutions aim to solve. 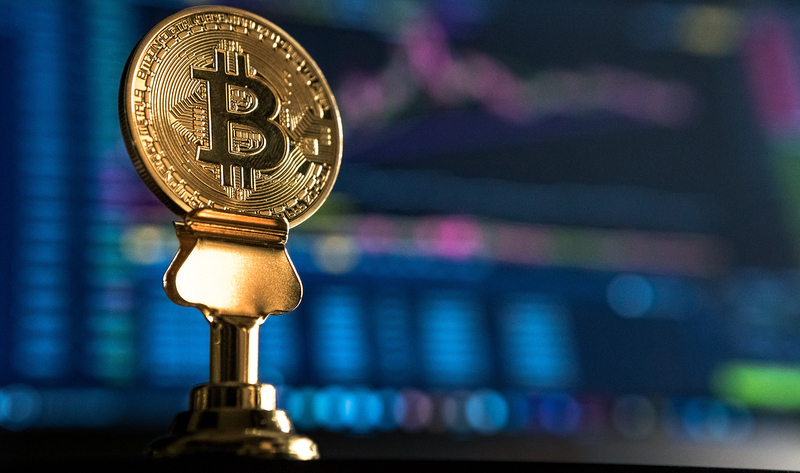 According to Baker McKenzie’s Guide to Blockchain and Cryptocurrency in Africa, there has been a mixed reaction by African governments to the use and regulation of blockchain and cryptocurrency in Africa. Some have taken a positive stance, seeking to understand how best to regulate its use, while others have adopted a wait-and-see approach. Some governments, however, have been apprehensive and reserved, and in some instances unreceptive to the use of this technology. Countries such as Zimbabwe and Namibia have reportedly begun with a hard stance, whilst Mauritius is a regional frontrunner. The regulatory sandbox created in Mauritius, for instance, demonstrates a progressive take on the general economic benefits that could follow a friendly, and even incentivised, approach to cryptocurrencies. In Kenya, The Central Bank of Kenya has rejected the use of digital currencies due to their unregulated nature and no regulations have been issued. However, blockchain is already being implemented in the country in a number of ways and a task force has been established by the Government of Kenya to explore the use of digital currencies and artificial intelligence. Kenya’s National Land Commission, for example, has recently welcomed the use of the blockchain network in creating transparency of land ownership, saying it will alleviate potential fraudulent sales of land and confusion over title to land. In the private sector, TMT Global Coin is a blockchain-powered logistics company that uses blockchain technology through smart contracts to improve the transparency and authenticity of records in imports and exports. A task force has also been appointed to look into cryptocurrency in Kenya. In Nigeria, no regulation has been issued by the Central Bank of Nigeria to date. However, the Bank has announced plans to release its white paper on the use and regulation of cryptocurrency in the country. So far, they have been against the use of cryptocurrency due to the risk that Nigerians will be victims of fraudulent schemes. The slow acceptance of cryptocurrencies by Nigerian regulators is notable considering that Nigeria reportedly has the world’s third-largest bitcoin holdings as a percentage of the gross domestic product. Although there is no specific regulation yet in South Africa, there has been a positive response from regulators who are working with the fintech and banking industries to find the most effective and appropriate way to regulate cryptocurrencies in South Africa. The country is positive towards the concept of cryptocurrencies and is researching the effect of distributed virtual currencies so as to streamline the South African Multiple Option Settlement system through Project Khokha. The National Treasury’s Taxation Laws Amendment Bill 2018 proposed amendments to tax legislation including changing the way cryptocurrencies are classified in South Africa. And in December 2018, the South African Reserve Bank published its review of the National Payment Systems Act, 78 of 1998 for public comment. This legislation regulates systems used by South Africans for payment settlement, and the SARB reportedly intends to undertake a complete overhaul of the present regulation by 2020. The SARB appears to recognise that there may soon be little difference between domestic and international payments and sees the possibility of similar digital currencies being at the heart of the national payment system in the future. This may pave the way for a reduction in the exclusivity of commercial banks in processing payments and, further down the line, the possibility of a digital South African fiat currency. In a significant step forward, the South African Reserve Bank, South African Revenue Service, National Treasury, the Financial Sector Conduct Authority and the Financial Intelligence Centre created the intergovernmental fintech working group (IFWG) which released a consultation paper on policy proposals for crypto assets in January 2019. The efforts by the IFWG aim to provide a platform for regulators and policymakers to engage with industry and work towards a harmonised approach to regulation and is a first for the region. Ashlin Perumall, Senior Associate, Corporate/M&A, Baker McKenzie Johannesburg.